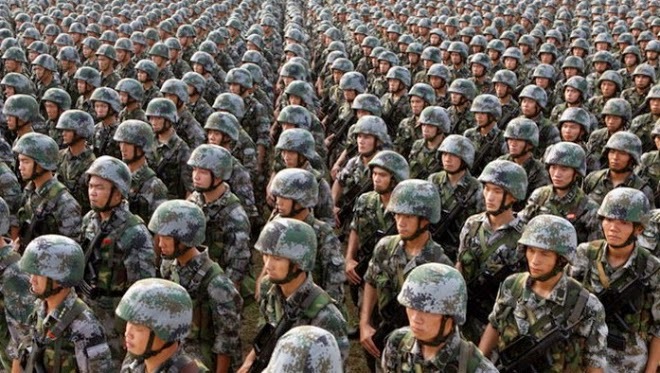 China is moving up plans for the completion of its military reforms and modernization. Shortly after the close of the 19th National Congress of the Chinese Communist Party, CCP General Secretary Xi Jinping announced that the modernization of the People’s Liberation Army’s (PLA) would essentially complete by 2035. Subsequent reporting confirmed that this announcement represented an acceleration of the military modernization plan, shortening the original plan’s third stage by 15 years from 2049 to 2035 (Xinhua November 24, 2017). However, Xi added that the PLA would not transform into a world-class military until mid-century (Xinhua, October 27, 2017). WNU Editor: The Chinese are spending the money .... Future of the Chinese Defense Industry to 2022 (Business Wire), and their focus on smaller mobile units backed with intense firepower is emulating what the Americans have been doing for the past few years. The days of mass Chinese attacks with basic weapons is a thing of the past.